We ship goods from/to Western and Central Europe as well as Moscow and St. Petersburg. Sumeda UAB has 30 trucks with tent trailers. All our trailers meet the Euro 4 requirements and the transported goods are covered by the international TIR guarantee. Our road transportation license grants the right to carry freight on domestic and international routes. 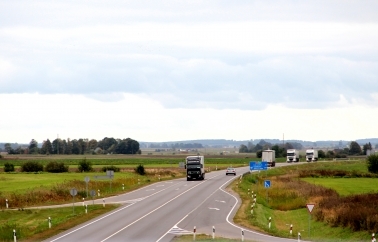 Sumeda UAB is a member of “Linava”, the Lithuanian National Road Carriers Association. Operations of Sumeda UAB are covered by a carrier’s liability (CMR) insurance.